YOUSEVEN™ is an amalgamation of creative endeavours — an independent multidisciplinary design studio & brand by Bournemouth-born, East-London-based Creative Wil Barker. Fixated on creating minimalistic & contemporary Identity Design, Fashion & Lifestyle visual content creation, along with Fashion Design, and Art Direction. CLIENTS INCLUDE_ Samsung, Lavazza, Johnnie Walker, Unruly, Hospital Records, Wayra, Esquire, Two Times Elliott, Triple fff Brewery, Mavi Jeans, @London, Ethics And Antics, Converse, Uncle Jack Watches, Sidemen, Storm Freerun, Soulection, London Air Ambulance, The Motus Projects, adidas, Future Beats Records, and more. PREVIOUSLY_ Stylist at AllSaints, Creative Director at (FKA) Ethics and Antics, Freelance Graphic Designer at Hospital Records. BA(Hons) Graphic & Media Design at UAL's London College of Communication. Freelance Designer at Unruly, Junior Designer at GoodToGoat. Freelance Designer at Share Creative. CURRENTLY_ Junior Designer at We Are Social – Available to hire for select freelance projects. BIO_ Born January 3rd 1996, Wil Barker is a multidisciplinary Graphic & Media Design graduate from UAL's London College of Communication, and the one-man-team behind YOUSEVEN™. In 2011, after discovering his interest in Art & Design, Wil started sharing his work online under the pseudonym "u7", eventually growing a small but interested audience and developing it all into the studio & brand that still stands over 7 years later. Whilst initially focused on purely Graphic Design work, Wil discovered Photography & Videography through his association with Parkour, and has since expanded his professional creative practice to accommodate these extra disciplines & interests. Ideas of Multidisciplinism inherently flow through Wil's work — Wil wrote his university thesis on the importance of Multidisciplinism, and how the approach to working allows him to work on a variety of projects, and aspire to be the strongest Creative he can be. 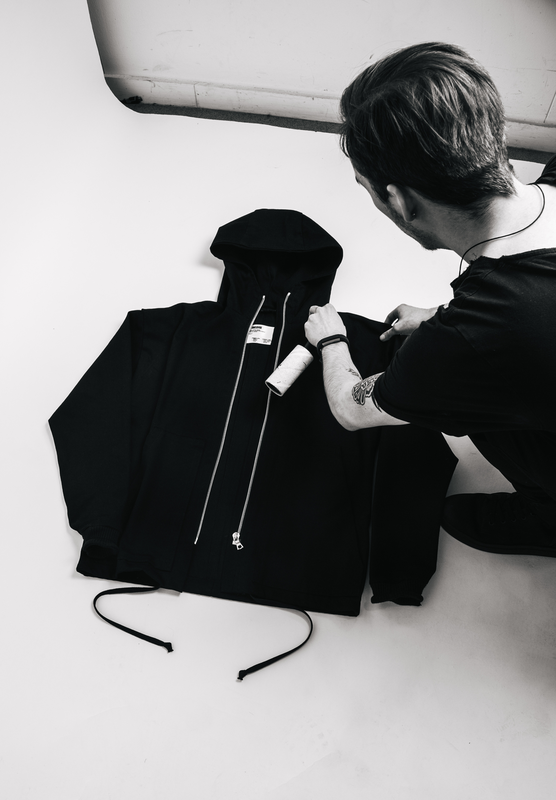 Upon graduating, Wil reignited his passion for designing clothing & products and is currently working on releasing collections exclusively via the YOUSEVEN™ online shop. A venture brought about by a love for the artistry in the design process, and a desire to manifest deep-held ideals in a tangible way. Collections consist of luxury modern essentials for the contemporary Creative — Essential mens, and womenswear pieces made sustainably to order in London. FEATURES_ "Salon XVII" London College of Communication, 2017. @London, 2015. Know Obstacles, 2014. Compendium Magazine, 2014.